Ahmedabad to Udaipur is an idyllic trip which is set to surprise each and every traveller. From the ancient city of Ahmedabad to the royal city of Udaipur, this trip can definitely be a part of your unforgettable moments. So, why not embark on this beautiful journey to the city of lakes and palaces? On account of its scenic beauty and picturesque locations, Udaipur is also known as the Kashmir of Rajasthan. From dazzling lakes to breathtaking views of palaces, Udaipur is home to natural as well as historical marvels which cannot be forgotten easily. A traveller would not want to miss the mesmerising views of the Aravalli hills that surround this elegant town. So, let's learn more about Udaipur and how to reach Udaipur from Ahmedabad. Udaipur experiences an extreme type of climate and hence, it is not wise to visit Udaipur during the summer season when the temperature is above average. The best time to visit Udaipur is from September to March as this period is perfect for outdoor activities and sightseeing. You can also visit Udaipur during the monsoon season in the months of July and August; during this period, the lakes are filled with immense water. By Air: You can take a direct flight from Ahmedabad to Udaipur airport. By Rail: There are direct trains available to Udaipur. You can catch a train from Ahmedabad railway station to Udaipur Junction. It will take you an approximate time of 10 hr to reach Udaipur. By Road: Located at a distance of around 260 km from Ahmedabad, Udaipur is easily accessible by road. However, route 1 is preferable as it will take 1 hr lesser in comparison to route 2. While on your way to Udaipur, you can take a break at Rishabhdeo and explore its beauty. Rishabhdeo is a small town in the state of Rajasthan and is extremely popular as a Jain pilgrimage on account of the presence of the famous Jain temple, Kesariyaji Tirth. This beautiful temple is the major attraction in the town throughout the year as it is dedicated to first Jain tirthankara, Rishabhanatha. Being a Jain pilgrimage centre, Rishabhdeo is always seen crowded with Jains who come here to pay their respects to their deity. The other major attractions within the boundaries of Rishabhdeo include Gaj Mandir, Gurukul Jain Temple and Ram Mandir. Udaipur is certainly a wonder in itself. The enthralling beauty of its royal palaces, scintillating lakes at the time of dawn and dusk and the grace of its age-old culture and traditions make this place one of its kind and a must-visit destination at least once in a lifetime. Royal hospitality amid the delightful ambience can only be experienced within the boundaries of Udaipur. 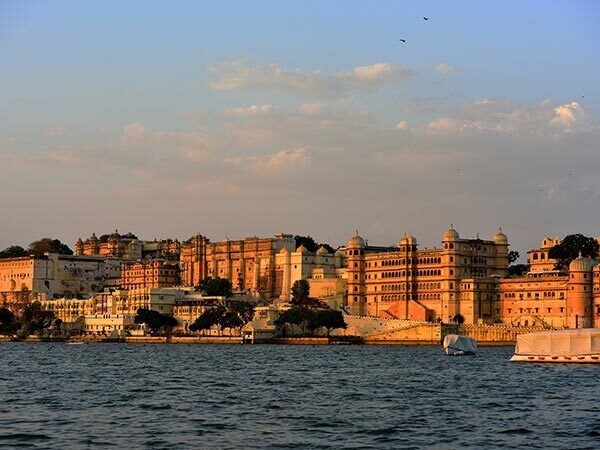 Hence, Udaipur is one of the most visited places in India. If you are planning a trip to this city of lakes and palaces, then you must visit the following places without which the trip to Udaipur is always deemed incomplete. Undoubtedly, the natural beauty of Udaipur is defined by the presence of lakes. The lakes of Udaipur are interconnected with each other, thereby, creating a lake system which in turn helps in the commercialisation of agriculture and tourism. A boat ride on the sparkling surfaces of its lakes is something which should not be missed. The splendour of these lakes enhances when the colourful sunrays reflect over the soothing waters of the lakes. Several significant lakes in Udaipur include Lake Pichola, Fateh Sagar Lake, Udaisagar Lake and Lake Badi. Udaipur shines with the elegance and splendour of its palaces, several located amid lakes and several atop hills. Palaces in Udaipur are the major attractions for history lovers as well as tourists. Beautifully designed pillars, grand halls, arched gates and long corridors are certain features of the palaces at Udaipur, which are the major reasons behind drawing tourists from all over the world. 5 Mind-Blowing Water Palaces In India! Several built out of marbles and few out of sandstones, palaces at Udaipur are the best instances of majestic buildings. These palaces also house museums and gardens where lie the best of paintings and decorative pieces from the royal era. City Palace, Lake Palace, Monsoon Palace and Jag Mandir are the prominent palaces in Udaipur, which redefine its beauty and distinction. Apart from lakes and palaces, Udaipur is also home to several historical temples and colourful gardens. It is certainly objectionable to not have parks when the discussion is about royal palaces. Yes, there are several royal gardens and parks, such as Saheliyon-ki-Bari, Gulab Bagh and Pratap Park, which have become equally popular amongst tourists and travellers. Udaipur is also dotted with numerous ancient temples where you can see Hindu devotees worshipping their deities and providing them with offerings. The major temples to visit in Udaipur include Jagdish Temple, Karni Mata Temple and Neemach Mata Temple.